A magic surfboard can change your life. Combining craftsmanship and creativity, Two Crows makes high end longboards that can make any surfer feel like they are surfing their best. 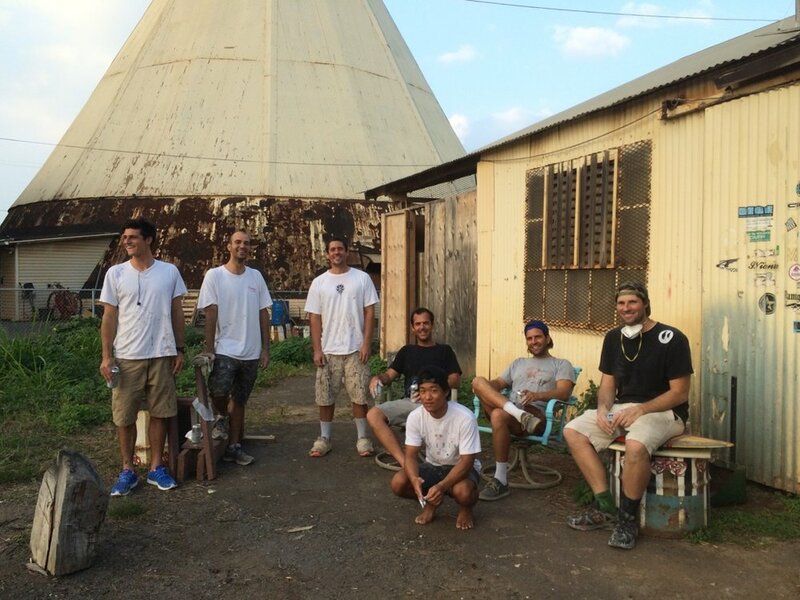 Located in the Waialua Sugar Mill, Two Crows brings decades of research and development to their wave riding vehicles. Shop Rats. These guys love being down at "The Shop" where all there tools and toys are made. True Surf Art. 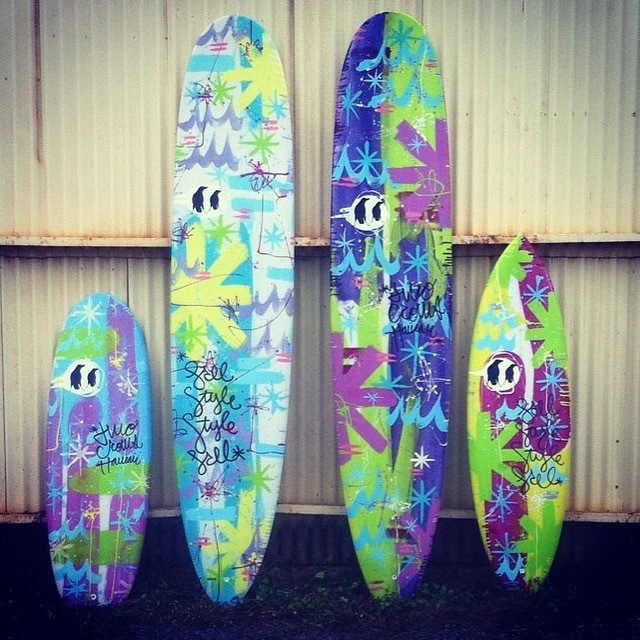 Have Welzie completely cover your board with his freestyle color work and have a new surfboard that can be surfed as well as hung in the home. We love long boarding. It is why we pretty much only make longboards. rider tested and customer approved. We have a perfect model that suits every surfing level. 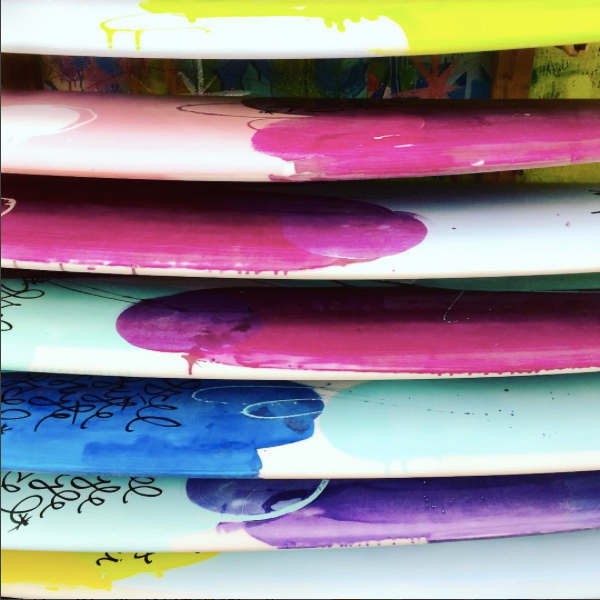 Art, surfboards, sculptures, and prints, its all made right here in our shop. It doesn't get more surf art than this. Our medium is foam, fiberglass, resin and ink; and we are good at it.